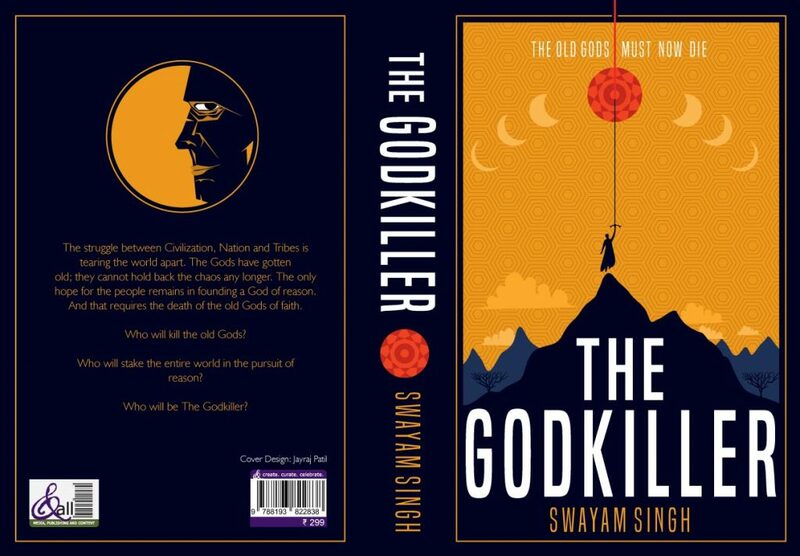 This is going to be a series of 60 blogs, dedicated to the process of writing my novel, The Godkiller. It took me 5 years, 60 months and thus the 60 blogs. This is the first one. Enjoy! The first month I spent writing the book was less writing and more posing. But when I would meet the odd, lonely tourist there I would tell them that I am a writer. I loved their reaction to it. And since they left within a day or so they never got wise to the fact that I was on the path of being a writer and not one as of then. But vanity loves itself. And I couldn’t care. I was young, foolish and absolutely in love with the idea of what I wanted to be. The days were spent in beer and conversations. All contraband was welcome as well. It was surreal. One night I had imbibed too much and was in awe of my surroundings. The sea was warm and the night sky brilliant. I had an urge to go swimming, which I did. But I was so alone and secluded that I decided to enter the water without my bathing suit. Naked as the way God made me. I enter the water; it retains the warmth of a long departed sun. The waves would never roar at the beach I was residing at, Kudle beach. They would always be gentle. Faint outline of the Milky way in the sky, the smell of the ocean in the air. This was peace, this was love, this was the silly culmination of every infantile ‘feel-good’ emotion I could feel (high as a kite that I was at the time). Why would I want to be anything? What could I achieve in life that could possibly rival the moment I was in? And just as suddenly a damn crab grabbed my foot….. The first time you have something grab you in the free sea, you do not think humble crab, you think might kraken. I screamed, in a very high pitch, for a very long time. The crab did not let go. I shook my leg vigorously. The crab limply held on to my toe. I ran on to the beach and towards the Nepalis playing ludo; they were the only people there. I appeared suddenly from the night absolutely naked, with a crab stuck at my foot. The finally decided to help me after uncontrollably laughing at me for a full minute. While the guy was inserting a butter-knife in between the claws he looks to me and asks, “How much?” “How much, how much for what?” I grimaced. He gestured to the crab. I understood. I thought a moment and said, “Beer?” He nodded. “3?” I said further. He nodded amiably enough. “Strong?” I reasoned with the man further. He looked me in the eye for a full minute; then nodded slowly. I agreed to the offer. Within a moment the crab came off, dettol was put on the wound, and the beers were procured. And after that, sitting with a towel to cover up myself and three beers later I eat a bit of the crab too. I have to take myself seriously, I think. This was not the way one spends life. Why can we not chill and get high and look up at the stars and float naked? Because life is always there reminding you of its seriousness and preciousness. There is no stopping that. Staying in the waters is just one experience, being clawed by a crab another. But this is all I can achieve at this beautiful place. It only gifts me the stars and a little foolish adventure. I want more experiences, different ones. How can I achieve that sitting here? How can I even believe I want to write when I do everything possible to avoid it? Damn crab was a hero. Sacrificing itself so I learn I got more to learn. It gave me a story and a laugh, but it also taught me I got to do something and not ideally dream of silly concepts. Even a fool can do that. What makes you an adult is how you deal with life. And that requires dedication to one idea, till you can actualize it, no matter what. For me I had decided for myself that it was writing my book. But I was still running away. and now into concepts to validate doing nothing. I could not do it with impunity. The crab told me that. So after almost an entire month in Gokarna, I finally decided to start writing my novel. I had only one beer and had my Nepali friends keep two in the fridge for me to drink later. They looked genuinely surprised at me returning the beer rather than drinking it. I calmed their fears about my health and I went to my room. I wrote close to two thousand words that night. I wrote till 5 in the morning. Sadly all I could retain in my novel from all those words is just a single phrase , ‘Survival is a magical quality.’ I am pretty happy about that phrase. This was my first month there.